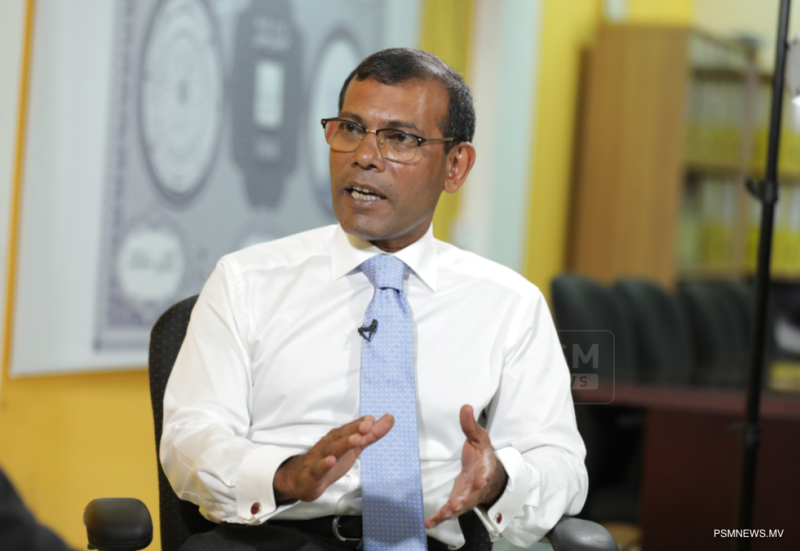 Former president Mohamed Nasheed, MP-elect for Central Machchangoalhi and presumptive majority leader of the 19th parliament, appeared on state media Monday night after leading his Maldivian Democratic Party to a historic landslide victory in Saturday’s parliamentary elections. 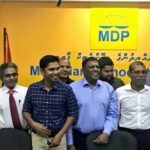 Characterising the stunning results as the culmination of a decades-long struggle for democracy, the 51-year-old expressed interest in leading the MDP’s parliamentary group and backed veteran lawmaker Mohamed Aslam to become the next speaker of parliament. He spoke about plans for judicial reform and addressed allegations made during the campaign about scheming to become prime minister. 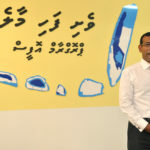 With the MDP’s super majority, Nasheed said important questions would be put to public referendums and parliamentary committees would regularly question members of independent bodies. He pledged public consultation and debate before pursuing constitutional amendments. The following are translated excerpts of the wide-ranging interview. I have always believed the parliamentary system is the best system of government. 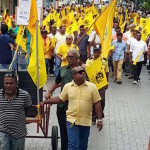 The MDP is a party that believes that philosophy. At the moment, any talk of changing the system must be initiated by the president. I would never try to do anything like that in a way that would make things difficult for the president. We are in power now. The president is MDP and the People’s Majlis is MDP. Considering the present, there is no difficulty for us. 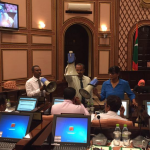 Nonetheless, I still believe the best form of government for the Maldives is the parliamentary system. The system should be introduced to us after discussions within our party’s various branches, discussion at our congress, discussions by all our organs, and after the issue reaching the People’s Majlis and a referendum is taken – after a lengthy effort. Any of these efforts must only be started with the president’s approval, consent and heart in it. […] The president should have the time to deliver our main pledges to the people. As I’m saying, it won’t do when we can’t provide housing in order for me to become prime minister or someone else to become something else. It won’t do if we can’t establish sewerage. Dialysis should be available, there should be a children’s doctor, people shouldn’t be locked on islands, there should be jobs – these are more important matters first. We need to provide this for the people first. I don’t have to tell the president my view on things. And the president doesn’t have to tell me his views. The two of us will know the number we thought of. […] The two of us have been together since birth. So I would know what the president is trying to do. The president would know what I’m trying to do, even if it’s watering the plants at home. [Despite supporting the appointment of foreign Muslim judges in principle] we don’t have to bring them, there are adequate people here. And additionally in my view, what we want is a system where even when there is a bad person, he can only do good. […] We aren’t going to take a particular person from somewhere and put him elsewhere. What we’re talking about are main principles. 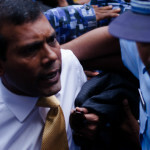 The judiciary is not the law-making Majlis. As you know, to annul the 2013 presidential election, the Supreme Court made a law like the People’s Majlis would pass with 12 or 13 points. The Supreme Court has also on many occasions initiated cases on their own under what they call suo moto. It is not wise to pass judgment except when the police investigate and the Prosecutor General raises charges. Other problems include having the right to defend and appeal in three stages, that is a constitutional principle. So when [case] files at the first stage are taken to the Supreme Court, the right to appeal is lost. That isn’t something we see as right. 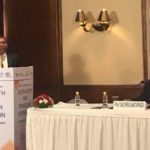 Likewise, judicial administration, managing the judiciary, that is administrative matters like judge’s salary, free time for judges, electricity, cleaning and maintenance of courts – these aren’t burdens the judge should bear. That’s why in most countries judicial administration is a separate institution. Along with that, we have the Judicial Service Commission to uphold ethical standard of judges, to be watchful of the conduct of judges, and investigate complaints related to judges. This commission is now too much run by judges and they have to take action against themselves. That would prove difficult. So changing the composition of the Judicial Services Commission is in our view essential. There are other general laws related to judges and together with that a bar council or bar association to give legal status for lawyers to determine their affairs. That too is something we need to do that’s necessary. And along with that, we need to clearly state the educational and academic qualifications of judges. Matters should not be arranged where a person can finish grade seven or eight, take a certificate and be on the Supreme Court or High Court. The holy religion of Islam has always been accorded the highest place in the hearts of Maldivians. When [the opposition] didn’t have an agenda or anything to sell to the public, and when they couldn’t talk about any policy, what they do is take Islam as a weapon. […] MDP will not work to bring a religion other than Islam to the country. MDP will work to protect Islam in the Maldives. The purpose is to keep fulfilling our pledges as soon as possible. Among the most notable issues is housing, no doubt, especially, not just in Malé, it’s a problem on all islands of the Maldives. Even when you own land, you can’t build a house, and when you get a plot, it’s difficult to build a house, there is no money. So even with land and plot, there are lot of people without housing. In other cases, due to a lack of any space and the extent of congestion, you don’t get housing. So God willing we will see before too long the solutions we were advocating for all of this. […] In the first session of the 19th Majlis, God willing the bills on the most important issues we noted will be submitted to the Majlis and passed. These include job opportunities, providing a minimum wage, a tax on personal income, properly establishing a transport network. […] The aim is to carry out work on all the bills simultaneously. In my view, we can carry things forward with 60, 70 people holding friendly discussions. I don’t believe it would be hard, especially with regard to the views of individual MPs. All MPs would want what’s best for their constituencies and islands. We believe when the public elects a person on a particular ticket, no one would believe that challenging the public and changing to a different political ideology is fair. So this is a reform we need to bring. God willing, along with changes to the legal framework and the Majlis rules of procedure as well as to our own conduct, the way we shape our personal lives, and how we maintain the necessary ties between each other – when all of this in sum is kept level towards the same goal, God willing the parliamentary group will stay together. [Incumbent Hithadhoo North MP Mohamed Aslam] has the experience. The conduct and various rules of the Majlis are very clear to him. He is also very familiar with the constitution. And he is a person of integrity in his personal life. Aslam has gained popularity among us. A lot of lagoons have been reclaimed in the Maldives. So what’s there is barren sand. Trees need to come on top of it. Plants need to grow on it. So we need vegetation extremely. Under what rules could a tree be uprooted from one island and replanted on another? This is also something we need to look at. And a tree hundreds of years old might be felled to straighten a road or lay tar. I’m not talking about a particular government. This is something we have been doing. So we need to look after all trees, where or how it is. A tree should not be cut down unless there is no other way. A reef should not be destroyed. The natural resources bestowed on us as a blessing by God should be used sustainably and passed down to coming generations.